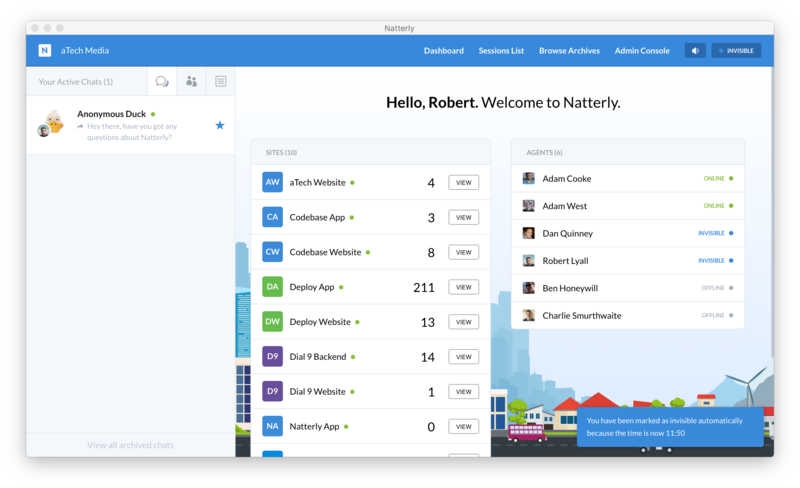 Whilst building Natterly, I wanted to build a simple toast notification system to display important alerts, without using the user's native notification system. In this post, we're going to be building out a very simple clone of this. Let's start off by creating the skeleton of the reducer. If no state is provided, we want to return an empty array, and by default we want to return the current state for all actions. Now that we've got that set up, time to add it to our combined (or root) reducer. Now we want to write a function that'll take some options and spit out a new toast object, with an ID that is auto-incremented every time it is called. Notice how we've also provided some default options, which are merged into the options passed in. In your own application, you probably want to ensure that the options being provided are valid. Now we want to create two actions. One to add a new toast notification to the store, and one to remove it by ID. Now that we've got our two actions, let's create case statements for them in our reducer. Cool, well that's pretty much everything Redux wise. Time to build our components. 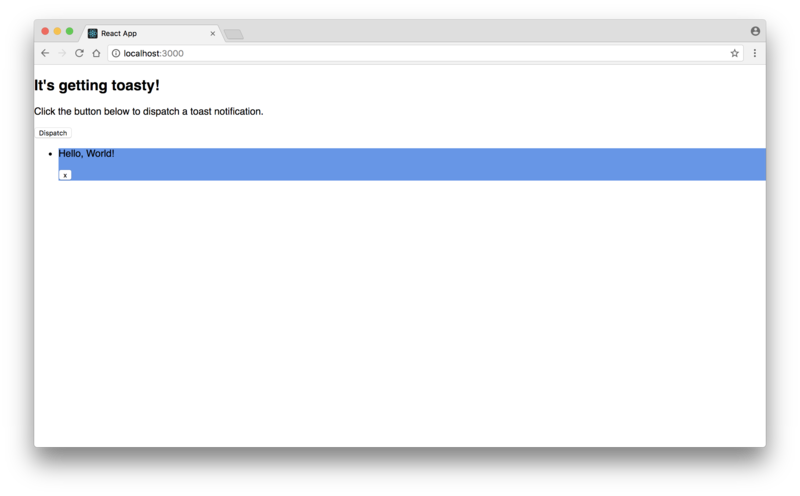 All we're doing here is taking the list of toast notifications, rendering them, and passing a click handler function to each one. When clicked, we simply want to dispatch the removeToast action, with the ID of the toast we want to remove. Now let's build out the Toast component. In our application toast notifications can't be changed once they are created, so we're just going to return false for shouldComponentUpdate to prevent unnecessary rendering when a new toast is added/removed from the collection. That's pretty much it, now we just need to render out the Toasts component, wherever we want it to appear. In this case, we're going to render in the App component, because we want it to be displayed everywhere. It works, but it looks revolting, let's sort that out with a little bit of styling. It still looks dreadful, but they're starting to look like actual toast notifications now! If you found this post helpful, please consider checking out DeployHQ, a service designed to help you automate the deployment of your projects. 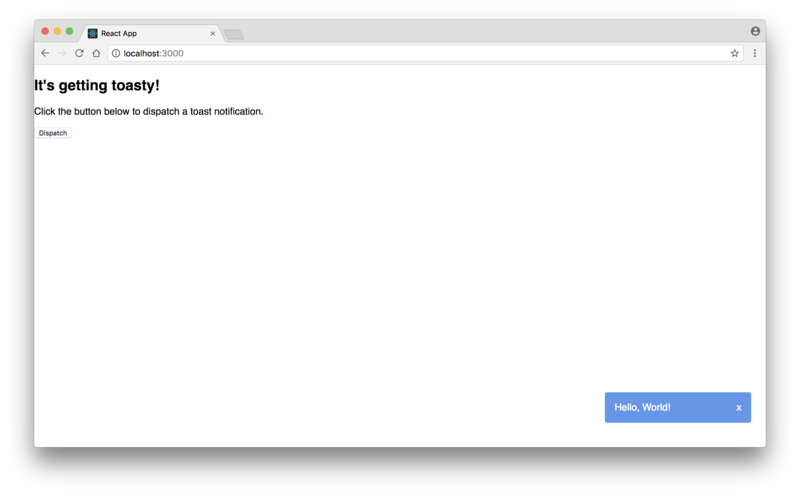 We’ve even written a guide to help you automatically deploy your React application in less than 10 minutes.